What&apos;s your earliest childhood memory? One of mine is watching my grandmother, seated at her vanity, applying her night cream. I think that early exposure to skincare helped spark my beauty product obsession. That being said, what we&apos;re going to be talking about today is not your grandmother&apos;s night cream. I would hazard to guess that there have been some advances in moisturizer since I was a child. Haha! And there have definitely been plenty of advances since my beloved grandmother opened her first jar of night cream. So, while I thank my dear grandmother for showing me how important it is to take care of my skin, I think I&apos;ll stick to modern products like Trilogy Age-Proof Replenishing Night Cream. That doesn&apos;t mean I can&apos;t channel my Nonnie, as I call her, by cozying up with a chic throw as I embark on my nightly routine however. She&apos;s still chic to the max every time I see her by the way. I dropped by her assisted living residence not too long ago and she was sitting in her room all decked out in a sparkly sweater and heels. Goals y&apos;all...Goals. So, now that we&apos;ve decided we&apos;d like to take advantage of today&apos;s skincare know how, let&apos;s talk about one of my new favorite night creams. But first let me say, if you aren&apos;t using a night cream currently, it&apos;s time to start. Don&apos;t waste all that time you&apos;re just sleeping. Those hours could be spent fighting the good anti-aging fight. Bwah! 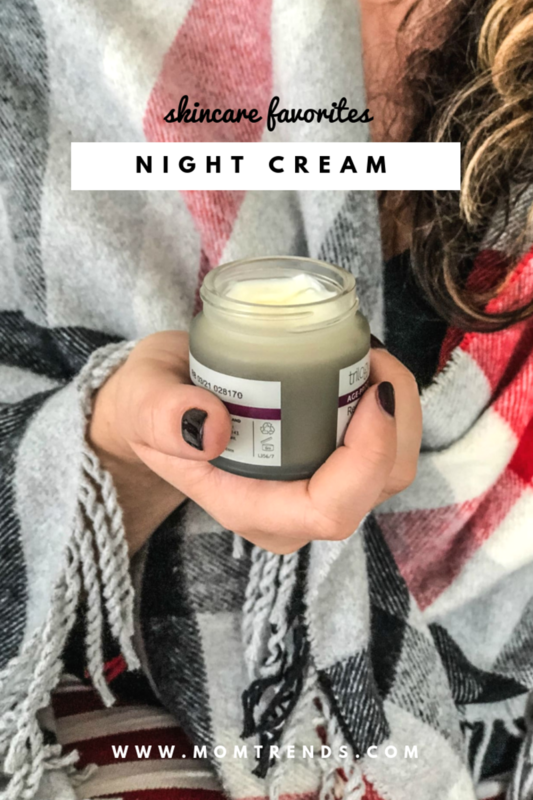 You want to add a good night cream to your beauty arsenal that will tackle issues like age spots and fine lines while you slumber away STAT. Plus, it&apos;s a great time to use products that might contain ingredients that will irritate your skin, so any redness can calm down before you leave the house. You don&apos;t have to worry about irritation with the night cream I&apos;m sharing today though. 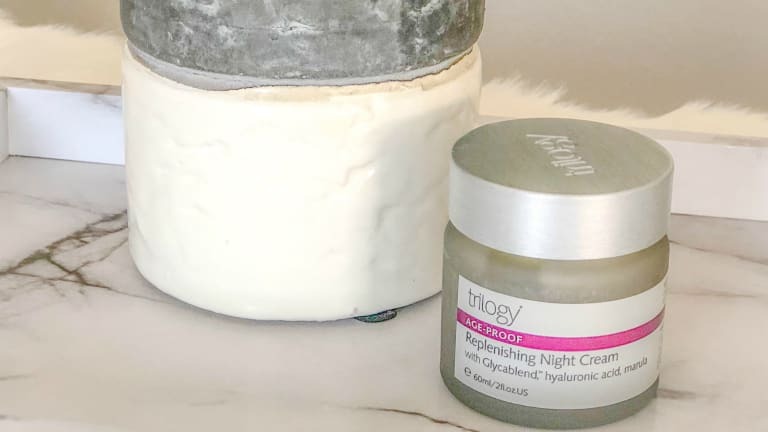 Now I&apos;ve talked about plenty of night creams in my time here covering beauty and there have been plenty that I still love, but there is something about the particular combo of ingredients in this Trilogy night cream that I&apos;m really diggin&apos;. 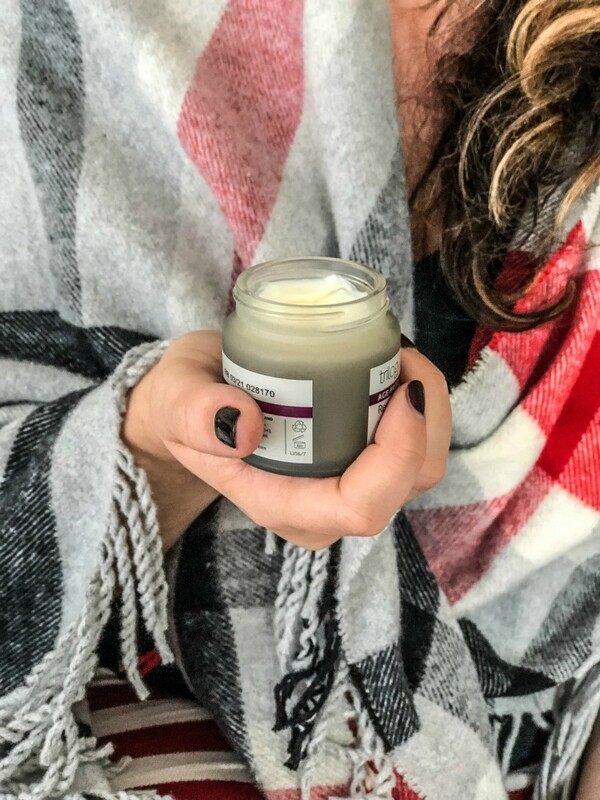 And I think it&apos;s because not only does it contain one of my very favorite anti-aging ingredients, hyaluronic acid, but it also boasts soothing ingredients like olive. Plus, the scent isn&apos;t overpowering. If I remember anything about my Nonnie&apos;s creams, it&apos;s how potent smelling they were. Haha! I definitely would not call this one potent. It&apos;s more soothing if anything. 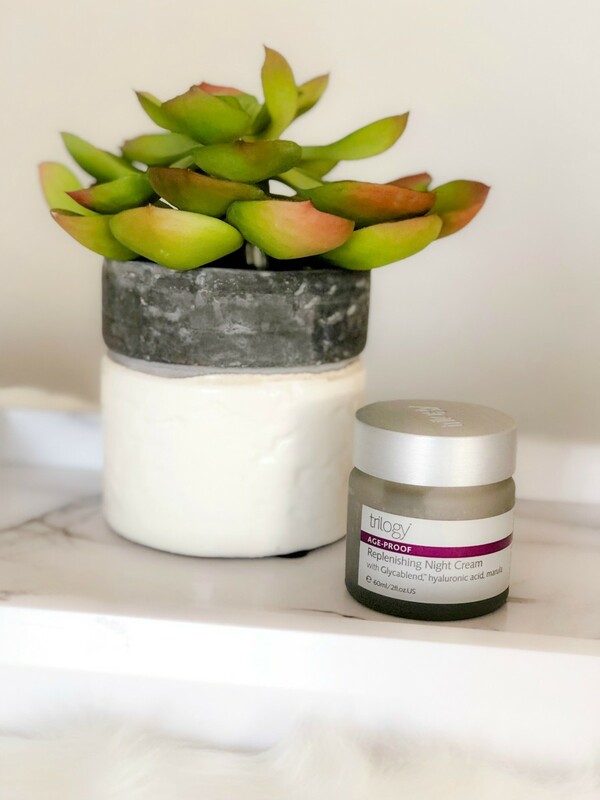 So, if you&apos;ve been on the lookout for an anti-aging night cream that delivers results without the irritation, you&apos;ve found it in this cream I&apos;m calling not your grandmother&apos;s night cream! Get ready for smooth, supple skin my friends. Supple is another word for younger looking by the way. Just sayin&apos;. * And for more beauty tricks, check out our tips for shrinking enlarged pores! This is not a sponsored post. We did receive a sample.